Road trips do not have to be expensive, and in fact, they give you the ability to control your money in ways you may not have considered before. SoCalFordDealers are here to give you tips on how to save money, save gas, save time, and save yourself from needless stress at the same time. Here are our top road trip tips on saving money. The beauty of a road trip is having the ability to go anywhere and see anything you want. When it comes to maximizing your fun and entertainment, you will want to stretch your funds as far as they can go. Take a look at the following tips to save money on a road trip, and let yourself be inspired to go the extra mile. The key to conserving gas is with proper vehicle maintenance and good driving habits. 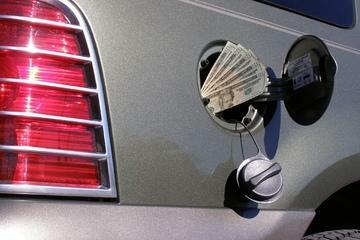 The best way to save gas is to drive conservatively. Avoid aggressive driving, speeding, accelerating quickly, and braking when unnecessary. All of these situations will cause you to burn extra fuel, and will cause the engine to wear down faster. You also want to keep your fuel tank above half-way, as you will get the best gas mileage when your tank is fuller. Save money on gas by keeping your engine oil clean, and try to cut down extra weight if you do not need it in the vehicle. Both dirty oil and extra weight will make the engine work harder than it needs to, causing you to consume more fuel. Many cities that have a large number of popular attractions offer a city pass, which will give you discounts on many of the most common travel destinations. These will include popular dining coupons, discounts on show tickets and sporting events, discounts at local theme parks, as well as transportation discounts. Members of zoos, museums, students, military, and other organizations may also receive discounts at common attractions. You can always call or look online for that information. If you are planning on visiting multiple local Bio Parks and zoos, or multiple theme parks, you may also be able to get a bundle ticket package for a bigger discount. Our last suggestion is to look up discounts on popular coupon apps that pair with these attractions to offer special discounts. Its not what we want to think about before leaving town, but it is something we need to consider, and that is the possibility of car trouble while on the road. There are many types of emergency road side services that you can sign up for before you leave town, and they can end up saving you hundreds of dollars if something goes wrong. You may also have roadside coverage through credit cards or car insurance, and you will want to know if you are covered for long distance travel if this is the case. Be prepared with this information before you hit the road, so you can save time, money, and energy if anything were to happen. There are many ways to cut expenses on road trips. The goal is to save a little everywhere you can, as those savings will add up. Save gas money and you can spend it on food. Save food money, and you can spend it on entertainment. Always start with a full vehicle inspection before you leave town, so you know your vehicle is ready to hit the road. Contact your SoCalFordDealers to learn more about servicing your current vehicle or upgrading to a new model.